@KurganovIgor addresses reasons for and against min-raising, both before and after the flop. Be aware of relevant factors (stack sizes, position) before making a min-raise, says Igor Kurganov. 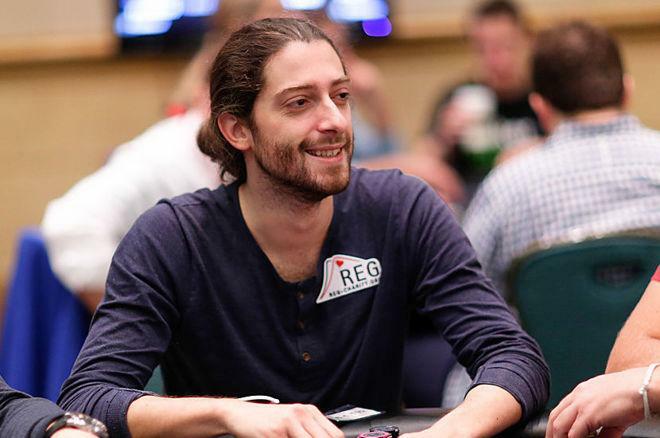 Earlier this week, Igor Kurganov outlasted an 86-entry field to win the PokerStars Championship Barcelona €50,000 Super High Roller and earn a seven-figure score. While on his way to that victory, Kurganov took time to review some strategy with PokerNews and addressed the pros and cons of min-raising in no-limit hold'em, both before and after the flop. A minimum raise or "min-raise" is exactly what it sounds like — a raise for the minimum amount allowed. Min-raising before the flop means making an opening raise worth exactly two big blinds (the least possible). Tournament rules vary, but a minimum reraise (typically) would be another raise by the same amount previously raised. After the flop, a min-raise would be twice the opening bet. So — as Kurganov gives as an example — following a bet of 10, a min-raise would be to 20. Kurganov begins here addressing postflop min-raising, pointing out that a big negative against min-raising after the flop is that by doing so a player will usually give an opponent very good pot odds to call. Say there is 20 in the middle when a player bets 10 (half the pot), then the other player min-raises to 20. The first player only has to call 10 more to continue, and the pot at that point is 50. That's 5-to-1 pot odds (betting just 10 for a chance to win 50), which often will "price in" a lot of hands. Kurganov agrees how that becomes an argument against min-raising, especially when players have relatively deep stacks. However, he points out that "the situation changes a little bit when you're playing with very short stacks," giving an example from a tournament where a min-raise can be more difficult for a player to call since even that small amount represents a significant percentage of a player's stack. Position likewise is a factor affecting whether or not min-raising is a good idea. For more discussion of postflop min-raising that addresses reasons why it is often not a good idea, check out Robert Woolley's article "When the Minimum Raise is Maximally Wrong". Missed the Flop After Raising Preflop -- Continuation Bet or Not?